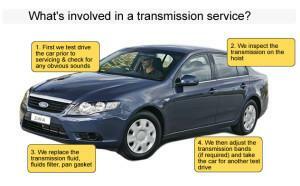 Your auto’s transmission is the vehicle’s most arduous and least inferred major component. In the latest model cars, it is a combination of sophisticated hydraulics and computer-controlled components. AAA Sure shift Automatics services all domestic and foreign automatics. Our aim is to ensure that all work is completed right the first time, at the most minimal costs conceivable. So if you need a transmission service or a quote for new automatic transmission in Mornington, give us a call and you won’t be let down. We believe the best gauge of customer satisfaction is recommendations and repeat business. We have proven customer satisfaction for more than 15+ years of business and trust you feel the same. Fluid change every 20,000km to 40,000km depends on transmission type. Drain trans oil/remove the oil pan. Check all adjustments to bands, oil pressures, and linkages. Check for metal/debris in the oil pan. Thoroughly clean oil pan and fit new oil filter. Check internal wiring to shift solenoids and sensors. Plug in computer scanner to check the car’s computer data and code information, note any trouble codes listed. Refill with transmission oil. Oil type depends on transmission type, 3speed, 4speed, 5speed, 6speed or CVT’s. Replace pan gasket/oil pan seal. Road test and confirm proper operation. Report transmission condition to customer.